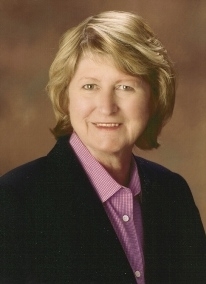 EXIT Assurance Realty is proud to announce that Janet Antosh has joined their Groton Team of Realtors. “While attending EXIT’s Massachusetts Certified Real Estate Salesperson’s Training Program, I had the pleasure of meeting many of the Agents in the Groton office. Their professional, friendly, and helpful attitudes made me want to join their team,” said Janet. 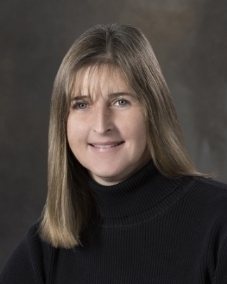 Professionally, Janet is a member of the North East Association of Realtors, the Massachusetts Multiple Listing Service Property Information Network, the Massachusetts Association of Realtors, and the National Association of Realtors. She has a Bachelor of Science degree in Education from Worcester State College and is a graduate of the Harris School of Real Estate. Janet’s personal interests surround her family, friends, and figure skating. Janet resides in Townsend MA with her husband and two daughters. She is a part-time figure skating coach, a member of the Professional Skaters Association, the United States Skating Association, and the Wallace Figure Skating Club. Please contact Janet at (978) 877-6548, janet@EXITassurance.com, or at www.JanetAntoshHomes.com. The Groton Board of Trade (GBOT) attended the celebration and Grand Opening of the Groton Branch of Edward Jones Investments! Several GBOT members were there in support Groton’s new Edward Jones branch office, and Drew Benson, its lead Financial Advisor. GBOT members included Jeff Gordon, President, Steve Lane, Anna Eliot, and Peter Schultz, all members of GBOT’s Board of Directors, and Sadie Guichard, Treasurer. 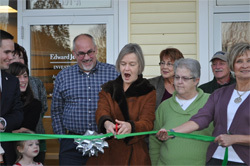 Welcome to Groton Drew Benson, and Edward Jones Investments! We are pleased to announce the addition of Hans Onsager to our list of Professional Realtors at EXIT Assurance Realty in Groton, MA. “Hans is not new to real estate, having been formerly with Baron’s Realty in Ayer. Hans has a broad history of customer service experience, working in service management in both the auto and marine industries, and most recently as a sales associate at the Leominster Home Depot. Hans’s maturity, a wide range of interests, broad sales and business experience, and education, all contribute to making Hans a valued asset to our Team” says Jeff Gordon, Broker/Owner of EXIT Assurance Realty. “My choice of EXIT Assurance Realty is based on their commitment to a high standard of business integrity, state-of-the-art technology, and the educational resources that are made available to both agents and clients, as well as the Broker/Owner’s hands-on approach to management. EXIT’s commitment to assisting their clients to make smart and well-informed decisions, not only for current market guidance but also for future markets, is consistent with my own service philosophy” says Hans. 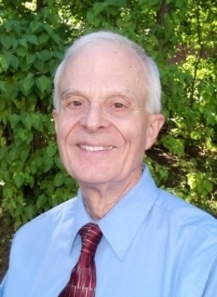 Hans holds a Bachelor’s degree in Business from Colby College, earned 30 Accounting credits at NH College. Hans has resided with his family in the Groton, MA area for more than 16 years. Hans Onsager can be reached at 978-877-2707, or by hans@EXITassurance.com & www.HansOrealor.com. 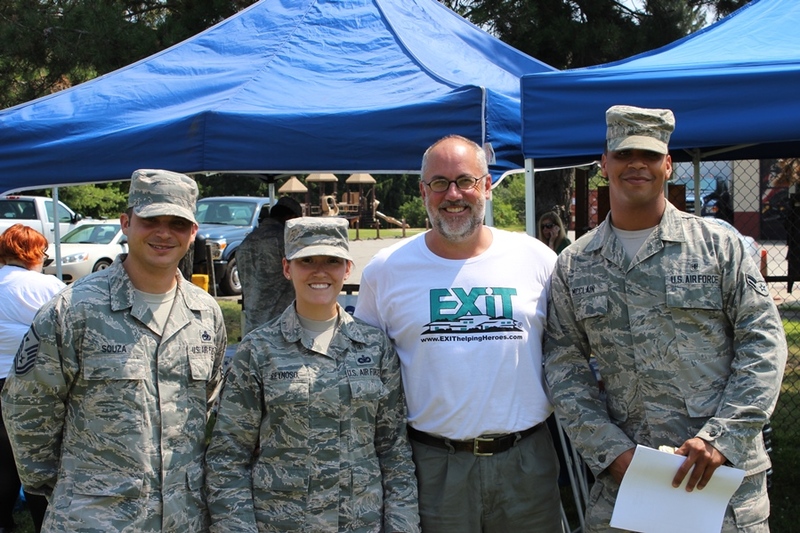 On July 23, 2014, EXIT Assurance Realty (www.EXITassurancerealty.com) presented and offered their EXIT Helping Heroes program (www.EXIThelpingHeroes.com) to more than 300 Military Servicemembers. The event was the Hanscom AFB Heroes Homecoming Picnic, as a base-wide event celebrating our servicemembers who have returned from deployment in the past year. It was a terrific and heartfelt occasion, with ceremonies, a parade, and a picnic. After the picnic, people enjoyed free swimming at the pool, a home run derby, live music at The Tavern and more! It was estimated that approximately 2,000 people attended. It was great to offer help, and give back to the Servicemembers. EXIT Helping Heroes is a program in which EXIT Assurance Realty gives back, a gift really, 25% of its sales commission to an eligible Hero; active and retired Military Servicemembers, Police and Firemen, Doctors, Nurses and related medical professionals, EMT’s, First Responders, and Teachers. EXIT Assurance Realty announced today its “EXIT Helping Heroes” program. Its sole purpose is to give back to those who protect and serve us. Our eligible Heroes are past or present military, law enforcement, firefighters, first- responders, healthcare professionals, or teachers. As a way of giving back, and saying “thank you” to our Heroes, when they buy or sell a home with our EXIT Helping Heroes program, EXIT Assurance Realty will give back 20% of our commission at the closing, in the form of cash or credit. Heroes must work with a participating Realtor. Heroes can also save with discounts provided by participating Caring Community Service Providers, such as Mortgage Brokers, Banks, Home Inspectors, Real Estate Attorneys, and many other service providers involved with their transaction. “We are delighted to participate in this national program. It’s been wholeheartedly embraced by our Realtors, and it’s a great way to give back and show our appreciation to those who take care of us” says Jeff Gordon, Broker/Owner, EXIT Assurance Realty. EXIT Assurance Realty’s homepage, www.EXITassurance.com contains a link, “EXIT Helping Heroes.” There, eligible Heroes can connect with a participating Realtors to get started! To find out more about EXIT Assurance Realty, contact Jeff Gordon, Broker/Owner, at (508) 864-7487, or email at jeff@EXITassurance.com. WOBURN, MA — EXIT Realty Corp. International recently announced that the sub-franchisor rights to the region of Massachusetts have been awarded to Bill Foss, a thirty-year-plus veteran of the real estate industry. The corporation continues its aggressive growth plans with a declaration to “Own the Next Decade” across the continent. Placing the right people, like Foss, in key roles is paramount to this strategy. 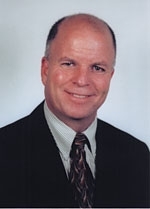 Foss was licensed in 1978 and became a fulltime REALTOR® in 1985. In 1987 he founded the independent brokerage, Property Promotions, Inc., from a small room in his home. In only six years Foss grew the company to be the highest producing office in his marketplace of 23 cities and towns. In 1993, he purchased a RE/MAX franchise operating as RE/MAX Property Promotions. In the first year of operations, his success drew the attention of the national and regional offices and was awarded the Rising Star Award for operating the fastest growing franchise in the United States for a rural market. Foss has been the Broker/Owner of EXIT New Options Real Estate in Leominster since 2009. About EXIT Realty: EXIT is a proven real estate business model that has to-date, paid out more than $225 million in single-level residual income — for agents, this means security, stability, and direction; for agents’ families, security in the form of beneficiary and retirement residuals. EXIT’s MIND-SET Training Systems offer the industry’s best hands-on, interactive sales training. State-of-the-art technology, including the Digital Marketing Strategy, gives homeowners the edge in a competitive marketplace. A portion of every transaction fee collected by EXIT International is applied to its charitable fund. To-date, $2.25 Million has been pledged to Habitat for Humanity. For more information, please visit http://www.exitrealty.com/Massachusetts. EXIT Assurance Realty is proud to announce that Joe Fiorentino, a resident of Groton MA, has joined its growing team of Realtors! “We are delighted that Joe decided to join our team,” says Jeff Gordon, Broker/Owner, EXIT Assurance Realty. Joe is another fantastic addition to our team. I’ve come to know him in an entirely new perspective, other than being the former owner of The Main Street Café. He has what it takes to be successful in the business of real estate. I can speak for all of our professionals, and say we’re all thrilled to have him at our real estate firm,” says Jeff Gordon, EXIT Assurance Realty’s Broker/Owner. Joe has worked in the service industry for his entire professional career. He was once a fully practicing Realtor, and held positions in Accounting, and professional Recruiting, before endeavoring to own & operate Groton’s Main Street Café. “As I considered my career path after the sale of the Café, I had multiple discussions with Jeff Gordon of EXIT Assurance Realty. Based on those discussions, I decided to join the EXIT Organization. EXIT Assurance Realty is a great organization with a solid reputation in the real estate industry. 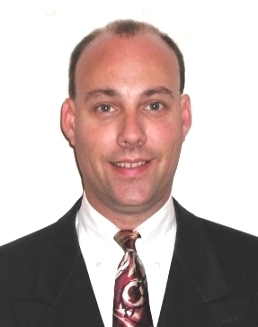 I am pleased to be joining a real estate company of such high caliber,” says Joe. Professionally, Joe is a member of the Northeast Association of Realtors, the Massachusetts Multiple Listing Service Property Information Network, and the National Association of Realtors. Personally, Joe is a Basketball Coordinator and Assistant Coach for Groton Dunstable Youth Basketball. 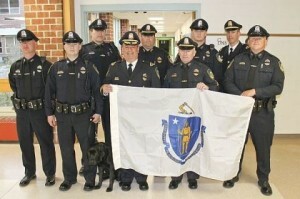 He is also an Assistant Coach in the Groton Dunstable Youth Soccer program. Joe is a graduate of Merrimack College, with a Bachelor’s in Accounting. Joe Fiorentino can be reached at 978-448-5639, or e-mail him at joe@EXITassurance.com. Groton, MA (Grassroots Newswire) — The International Association of Home Staging Professionals® (IAHSP®) Foundation, a non-profit organization founded by Barb Schwarz, the creator of Home Staging, is pleased to announce the 5th annual World Wide Staging Service Week, September 12th through 19th, 2009. A record 60 IAHSP Chapters participated across the country in a week-long event to improve the lives of others through the magic of Home Staging®. Members of the IAHSP across the US and Canada came together beginning on September 12, 2009, to help local organizations and individuals in their communities who are in need of Staging® services. Past benefactors have included improving such places as the Ronald McDonald House, nursing homes, schools, women’s shelters and assisting individuals who may be in need of selling their homes or businesses. This year, the Boston Regional IAHSP Chapter selected the Home for Little Wanderers, Roxbury MA, as their Worldwide Staging Service Week benefactors. Over three days, members of The Boston Regional IAHSP Chapter transformed the sitting room, dining room, and front hallway. “We wanted to create a feeling of warmth, relaxing, home-like, but a masculine setting for the boys that reside there,” said Sadie Guichard, the Boston Regional IAHSP Chapter Project Ambassador. Not only were the above areas restored and freshly painted, through donations that Boston Regional IAHSP Chapter sought out, they were able to purchase new furniture, including a brand new 50-inch plasma television! Chapter members also contacted The Boston Bruins, and Red Sox organization’s for action photographs, which were framed, and hung on the walls. “It was a wonderful success. The boys and management were very pleased with the work of our Chapter. And we owe many thanks to our Corporate & Chapter Members for their donations” said Sadie Guichard. Corporate donations were provided by; The Boston Bruins, The Boston Red Sox, D.R. Black Home Builders, Groton MA, Shepherd Sales & Service, Townsend MA, Prime Realty Group, Brighton MA, EXIT Assurance Realty, Groton MA, and various contributions from the members of the Boston Regional IAHSP Chapter. IAHSP International is comprised of 80 local regional chapters in the U.S and Canada with 1,500 Accredited Staging Professionals (ASPs). As the recognized professional association and voice of the Home Staging industry, the IAHSP sets the standard for Staging and is the benchmark for excellence in real estate. For more information about this project, please call Sadie Guichard at 978-302-3729. EXIT’s Tami Bonnell is featured on “The Balancing Act” TV Series, on the LIFE Channel! Now more than ever, consumers are in need of informative answers to the questions they have about the real estate industry. They want to understand what is happening, have their concerns addressed about the current volatility in the market and how it affects them when buying or selling real estate. In this LIFE Channel segment, Tami Bonnell, the President of EXIT Realty Corp. US Organization discusses this issue and the benefits of using a real estate professional from EXIT to navigate the choppy waters, as well as the benefits of the company, should women choose realty as a career. Steve Morris, Founder & CEO of EXIT Realty Corp. International, and named one of real estate’s 25 most influential thought leaders in REALTOR® Magazine, and the creator of the #1 “new” national franchise brand according to Swanepoel Trends Report, came to Massachusetts and the Westford Regency Hotel to share with more than 400 local EXIT Broker’s & Agent’s, “Mindset2009,” the EXIT Story, and the fundamentals in which EXIT was born. Attendees lined up early! They came from all over New England to hear the revolutionary Founder & CEO of EXIT Realty Corp. International, Steve Morris. In true EXIT Realty fashion, the EXIT Broker’s & Agent’s were excited, anxious, and certainly ready to hear what the founder of our groundbreaking real estate company had to say. As the next several hours played out for the 400 present, most were reaffirmed as to why they were a part of the fastest growing real estate franchise ever. Those in the room who had come to see if all they had heard about EXIT Realty being the best real estate system to belong to was true left ready to join their nearest brokerage. Was it because of the pure and (still) unheard of logic the EXIT Realty system brings? Yes, being the first and only real estate company that offers members the opportunity to earn more than 100% of their commissions? That’s definitely a part of the overwhelming response. Was it the fact that EXIT is the only system that allows you to take your earnings and retire, maintaining the income stream you have built; and when the need arises, pass that income on to your heirs? 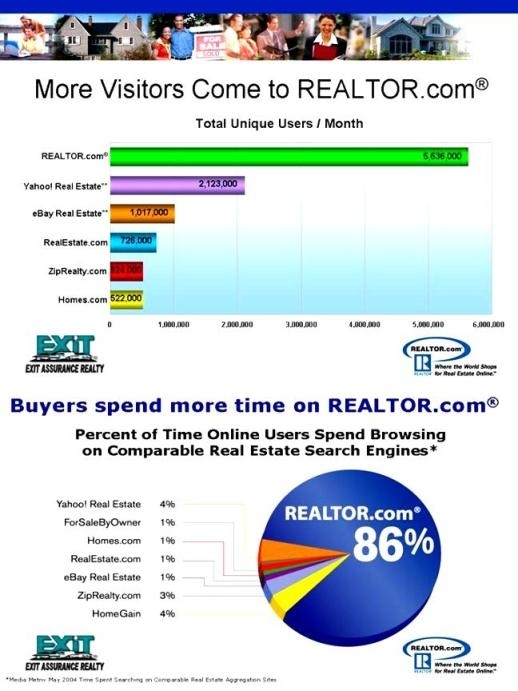 Again, a high factor in the overwhelming success for EXIT Realty. “I love how EXIT is constantly investing in their Agents. 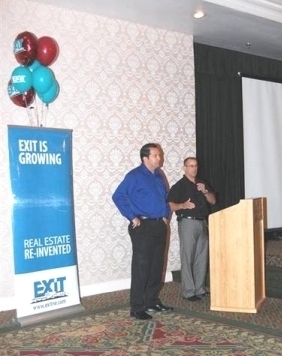 EXIT not only teaches you how to make the most of yourself and your life but goes above an beyond to teach you how to help others… which is ultimately what this business is all about…” That certainly is a great point of interest says Jeff Gordon, Broker/Owner of EXIT Assurance Realty, Groton, MA. Maybe it was the overwhelming content and moving delivery of Mr. Morris that had people entranced and amazed; thanking Tami Bonnell, EXIT’s President of US Operations, for once again bringing such a great event to area industry professionals. In the end, I suppose it was a combination of aforementioned factors that had everyone on their feet cheering for Steve Morris’ fabulous “Mindset2009” presentation in Massachusetts. What a huge success! Thank you Steve! Wells Fargo Home Mortgage, an EXIT Assurance Realty Preferred Provider, presented at the 2009 EXIT Broker/Agent Retreat on July 28th & 29th, at the Westford Regency Hotel, Westford, MA. Groton-based Micheal Potito, a Sr. Mortgage Consultant, and Jason Sculos, Wells Fargo’s Branch Manager, is shown presenting to more than 400 local EXIT Broker’s & Agent’s. As an EXIT Assurance Realty Preferred Provider, Wells Fargo Home Mortgage is a key player in our service provision, says Jeff Gordon, EXIT’s Broker/Owner. All of our Preferred Provider’s are top-notch. They get the job done and done well. DeFilippo Insurance Services, an EXIT Assurance Realty Preferred Provider, presented at the 2009 EXIT Broker/Agent Retreat on July 28th & 29th, at the Westford Regency Hotel, Westford, MA. 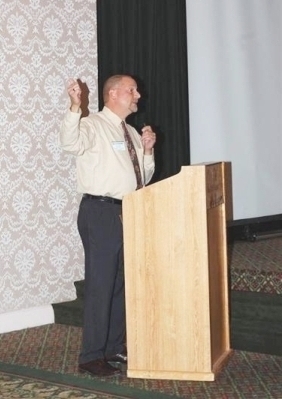 Vincent DeFilippo, President, is shown presenting to more than 400 local EXIT Brokers & Agents. As an EXIT Assurance Realty Preferred Provider, Vincent is a key player in our “Whole Solution” service provision, says Jeff Gordon, EXIT’s Broker/Owner. All of our Preferred Provider’s are top-notch. They get the job done and done well. DeFilippo Insurance Services provides security and peace of mind for families and businesses in Massachusetts and extends a knowledgeable and trusting relationship for all of your insurance needs. Vincent DeFilippo can be reached directly at 508-523-8012, or vindefilippo@live.com. Visit DeFilippo Insurance Services at www.vinnyinsurance.com. EXIT Assurance Realty, formerly located on Hollis Street in Groton, recently moved its main office to 161 Main Street, right in downtown Groton center. Groton, MA – EXIT Assurance Realty, Groton, MA announced the implementation of a sophisticated Audio/Video Property Tours, and Buyer Lead Capturing system, for all Client properties that are listed with EXIT, accessible on www.EXITassurance.com, or by dialing a toll-free 800 number. When an EXIT Client’s property is advertised online with Realtor.com, Boston.com, Yahoo & Google Real Estate, Trula, Zillow, HomesAndLand.com, TheRealEstateBook.com and many others, or printed real estate publications, we invite potential buyers to dial an 800 number and enter the advertised Property Code. For example, 800-961-6706, code 2602. Potential buyers can do this while literally sitting in their car, in front of the property! We enable this by hanging a placard on the property-for-sale sign, illuminating the 800 number and Property Code. How do you know who calls to listen to the property tour? The technology we’ve implemented captures the phone number of the caller, whether it’s a land-line or cell phone. When a potential buyer calls the 800 number, the EXIT Listing Agent IMMEDIATELY receives an E-Mail on their computer, and a Text Message on their cell phone, with the caller’s phone number, enabling the EXIT Listing Agent to IMMEDIATELY call them back and qualify their interest. Further, on www.EXITassurance.com, potential buyers can listen to the property tour by clicking on the “More Information:” link, located on the detail page our Client’s listing. “This is a leading-edge implementation of technology that delivers another unique service and value-add to our Clients, ” says Jeff Gordon, Broker/Owner of EXIT Assurance Realty. Selling properties is about maximizing potential buyer leads and generating listing traffic, but also qualifying potential buyers so that we don’t waste our Client’s time. This technology allows us to do this very efficiently, enabling us to enhance our client service. For more information about EXIT Assurance Realty, please call 978-448-6800. EXIT Assurance Realty is located at 161 Main Street, Groton, MA 01450. Groton, MA – REALTORS® from EXIT Assurance Realty in Groton, MA will be hosting a New Hampshire MLS Training on May 19, 2009 – 9:30am to 12:30pm, at its main office in Groton. EXIT Assurance Realy will be hosting the Northern New England Real Estate Network (NNEREN) to conduct a New Hampshire MLS Training Course. This course is FREE, and all particpants will earn 3 New Hampshire Continuing Education Units. Good Agents are born. GREAT Agents are trained. All local real estate Agents are welcome to attend. Please RSVP no later than May 13, 2009. Email Jeff Gordon at jeff@EXITassurance.com. EXIT Assurance Realty of Groton, MA is a franchise member of EXIT Realty Corp USA. EXIT Realty originally founded in Canada has enjoyed rapid growth throughout North America This growth is based largely on the strength of its recruiting and retirement benefits. The EXIT Formula provides sales associates a chance to earn a combination of residual income over and above their own transactions and an enhanced retirement and beneficiary benefit; all of which have been unheard of in the real estate industry until now. EXIT Assurance Realty is located at 161 Main Street, Groton, MA 01450. Jeff Gordon can be reached at 978-448-6800, or e-mail him at jeff@EXITassurance.com. Kris Kramer, of EXIT Assurance Realty, Groton MA, has been named Captian of the United States Women’s Rifle Team, competing at the 2008 National Rifle Matches. The United States Women’s Rifle Team will compete in the International Women’s Postal Match. Several countries will be represented, competing for the Randle Trophy, where Kramer Coached the Team in 2007 to be 1st Place Champions, ahead of 2nd Place South Africa. Kris is a former National Women’s Champion, a women’s national record setter, a winner of several different State Championships, and a former member of four different United State Women’s Rifle Teams. 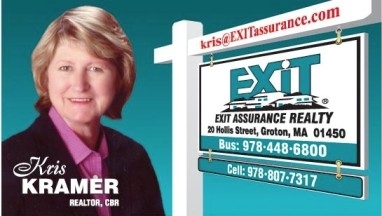 Kris can be reached at 978-807-7317, or e-mail her at kris@EXITassurance.com. Sadie Guichard has joined the staff of real estate professionals at EXIT Assurance Realty in Groton, MA. Sadie has been a Realtor for almost two years, serving Groton, and surrounding communities. Sadie is licensed to practice real estate in Massachusetts and New Hampshire. She is an Accredited Home Stager (ASP™), and a member of the International Association of Home Stagers (IAHSP). Sadie is a consummate professional. 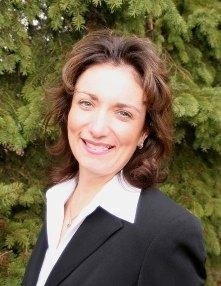 She possesses the qualities that Professional Realtors must have to succeed in the business of real estate. With today’s buyer, where 9 out of 10 of them see, “online,” the home(s) they want to visit, the Realtors that are technology will lead the pack. When you add Sadie’s Professional Home Staging skills, her value-add is tremendous. Like all of our Realtors, Sadie’s best quality is that she fundamentally enjoys helping people, and strives to exceed their expectations. She’s held several positions in customer service & relations, prior to entering the business of real estate. Sadie has been a resident of Groton for eight years. She brings a strong international background, where she was brought up in Portsmouth, UK, educated in Hong Kong, and lived in Singapore for several years. She enjoys the outdoors, has two children, and frequently involves herself in various school and civic events. Sadie can be reached at 978-302-3729, or e-mail her at sadie@EXITassurance.com, or Sadie@SadieG.com. VICTORIOUS! Kris Kramer, of EXIT Assurance Realty, lead the U.S. Women’s Team to Glory! U.S. Women’s Rifle Team Wins 2007 Randle International Match. The United States can now lay claim to the Randle Women’s International Team Trophy for the first time since 2003. The U.S. Women’s Team beat Great Britain and South Africa to win the Randle International Postal Team Match with a score of 3985-269X. Great Britain won second place with 3983-262X, and South Africa took third place with 3980. The U.S. Coach, Kris Kramer, and Captain, Janet Friddell Spohn, guided the U.S. Team to shoot consistently throughout the match, and was led by Leslie Grace Angeli (400-29X), Reya Kempley (400-27X), and Melissa Lussier (400-26X). Postal matches are a unique type of competition in which shooting teams do not meet face-to-face, but instead submit their scores and/or targets by mail to a central authority, such as the NRA, for scoring and final determination of the winners. The U.S. Team fires its portion of the Randle Match at Camp Perry, Ohio, during the NRA National Rifle and Pistol Championships. To earn a position on the team, members must be one of the 12 top-scoring shooters in the Metallic Sight Aggregate Competition at Perry. The Randle Trophy is a large sterling silver cup that was first presented in 1952 for International Women’s Team Competition in memory of former NRA President Thurman Randle. Participating teams must be from an English-speaking country, and each team consists of 10 firing members, two alternate shooters, a captain, and a coach. The teams are invited to participate by the NRA, which sponsors the match. Each shooting member must fire 20 shots at 50 yards and 20 shots at 100 yards in the prone position using a smallbore rifle with metallic sights. 1st Place: United States Women’s Team 3985-269X. 2nd Place: Great Britain 3983-262X. The Randle Match is an international postal Team competition. Postal Team matches are a unique type of competition in which shooting teams do not meet face-to-face, but instead submit the targets which they have shot to a central authority, such as the NRA, for scoring and final determination of the winners. The U.S. Team will be competing this year against team shooters from Australia, Canada, Great Britain, New Zealand, South Africa, and Zimbabwe/Rhodesia. The Randle Match will be held on July 24th, and the U.S. Team will be the only competitors firing at Camp Perry for this postal event. All members of the U.S. Team receive a special charm bracelet commemorating their first appearance with the team, and in subsequent appearances with the team receive a year-type charm to add to the bracelet. The high-scoring shooter on the U.S. Team receives a special plaque. EXIT Assurance Realty strengthens its National Relocation Services Program. EXIT Assurance Realty, Groton, MA further enhances its National Relocation Services Program, and was accepted as an Alliance Partner into the FAS Relocation Network. “This relationship, together with FAS, and the extensive EXIT Realty Corp USA Network, will allow us to continue to broaden our RELO Services”, says Jeff Gordon, Broker/Owner, EXIT Assurance Realty. Among many synchronous aspects our alliance, EXIT’s Technology Platform, and online Client-Enablement tools, nicely compliment the FAS Center of Mobility Services program. Who is FAS? FAS Relocation Network, a Global Mobility Solutions Company, provides innovative and industry-leading relocation support to the executive recruiting industry, Real Estate Brokers, as well as government and corporate clients. FAS created the Center for Mobility Services (CMR), and developed a number of tools and critical data elements to support a rich library of web-based, on-line tools, with the express purpose of providing meaningful support to all constituents in the move process. Since its inception in 1987, FAS Relocation Network has grown significantly, now servicing over 350 corporate client relationships, and provides various forms of Global Relocation assistance to over 10,000 customers. 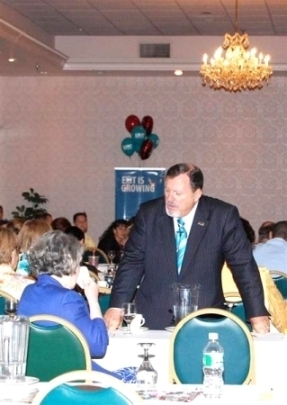 President, EXIT Realty Corp. USA, speaks at the Holiday Inn, Tewksbury, MA. EXIT has revolutionized the business of real estate with the most lucrative compensation model in the real estate industry. EXIT agents have no desk fees, and start at 70% commission with the ability to earn more than 100%! EXIT even offers retirement income after you’re done selling real estate! EXIT Realty Corp. USA, the fastest growing real estate company in real estate history, has grown to over 1400 offices and over 36,000 real estate professionals in North America in less than 6 years. This pace of unprecedented growth is enriched with more than 185 hours of in-house teaching, coaching, and training for EXIT professionals. If you are interested in finding out more about EXIT and discover your potential, call Jeff Gordon, Broker/Owner, EXIT Assurance Realty, at 978-448-6800 Ext. 206. EXIT Assurance Realty hosted “60 Minutes with EXIT”, featuring Tami Bonnell, President of EXIT Realty Corp. USA. EXIT has revolutionized the business of real estate with the most lucrative compensation model in the real estate industry. EXIT agents have no desk fees, and start at 70% commission with the ability to earn more than 100%! EXIT even offers retirement income after you’re done selling real estate! EXIT Realty Corp. USA, the fastest growing real estate company in real estate history, has grown to over 1400 offices and over 36,000 real estate professionals in North America in less than years. This pace of unprecedented growth is enriched with more than 185 hours of in-house teaching, coaching, and training for EXIT professionals. If you are interested in finding out more about EXIT and discover your potential, call Jeff Gordon, Broker/Owner, EXIT Assurance Realty, at 508-864-7487. BOTTOM LINE – if properly used, “Personality Profiles 101” will increase the effectiveness of your presentations, and sales success ratio by 100%! This seminar taught us how to recognize and manage the “personality style” of your prospects, customers, and clients. You will learn how to “present exactly what they want to see and hear” and “sell to them the way they want to be sold” says Jeff Gordon, Broker/Owner, EXIT Assurance Realty. Personality Profiles 101 was generously sponsored by First Call Mortgage Company, Eagles Athletics, EXIT Assurance Realty, GMAC Mortgage, The Real Estate Book, Prestige Properties, Photo Image Plus, All American Embroidery, Oakley Signs & Graphics, Red Cow Technologies, MA Pass, Top Producer, RLS2000, and Upward Motion. Registered guests won incredible door prizes: FREE custom website (design & setup included! ), One-year subion to MLS PropertyFinder, 1,000 laminated business cards, Top Producer’s “Hot Marketer” software, Real Estate Training Simulator, Gift Certificates for custom embroidery, Real Estate Signs & Riders, Discounts on advertising in The Real Estate Book & Prestige Properties, Gift Certificates from Mortgage Companies that are transferable to your clients, FREE use of MA Pass for 1 listing, and more! Another successful training event by EXIT Assurance Realty! Thank you! EXIT awards “replica” Ginger Bread House at Grotonfest 2005! EXIT Assurance Realty, a Sponsor of Grotonfest 2005, held a drawing for a “replica” Ginger Bread House of the winner’s own home. The winner, Sue Hauk, a local resident, took it one step further and created Christmas Cards! Come visit our booth and receive free hand-out’s too! Shown in photo: Ben, Emily, and Alex Hauk.